Greg Norman’s design has taken the best elements of Melbourne’s renowned sandbelt courses and incorporated them into a dramatic, natural golf setting. The design takes advantage of the undulating landscape and natural wetlands to create a layout that fits seamlessly with the surrounding environment. 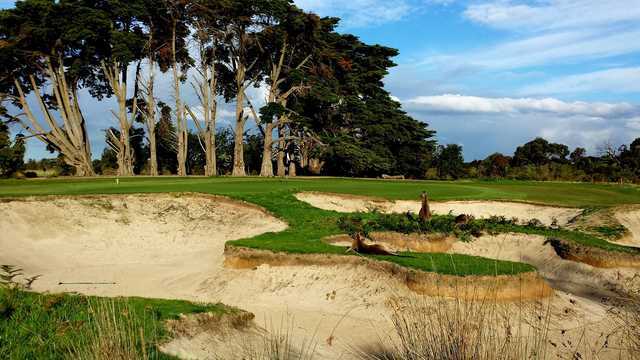 The bunkering is a key feature of the design, with Norman taking inspiration from Alister MacKenzie’s work at famed Royal Melbourne and Kingston Heath. The fairways have been designed to provide generous landing areas to accommodate golfers of all levels.